Gaining and keeping the support of key stakeholders is essential to the success of any change initiative or project. 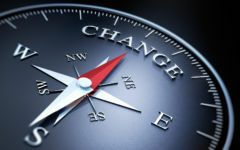 This course connects change theory to communication strategies to help you identify and analyze your key stakeholders and determine the messages they need to hear, when they need to hear them, and the best mode of communication to use. If you are using the same email to report to every stakeholder, you are probably missing opportunities to keep stakeholders invested and enthusiastic about your initiatives and projects. People who lead teams, departments, change initiatives, project teams, process improvement efforts, and/or determine goals and strategic plan. Building the Business Case for Change will help you identify tangible benefits used to craft messages for key stakeholders. Price: $150.00 Early Bird Pricing: $135.00 up to 4 weeks prior to the course start date. Tuesday, March 5, 2019 from 8:30 a.m. until 12:00 p.m.
Jeannette Grace is an instructor with expertise in Communication, Customer Service, Employee Engagement, Conflict Resolution and Teambuilding.